Home › Blog › Is “Inbox by Gmail” a game-changer for email marketing? 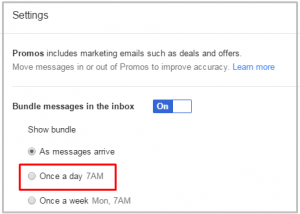 3 years ago, Gmail launched a new feature that sorts messages automatically into different categories, based on type of content. The most interesting feature for marketers was the introduction of a “promotional tab”, which raised concerns about the decreasing open rate of emails that don’t show up in the main tab anymore. At the end of 2014, Gmail introduced an additional mailing tool: “Inbox by Gmail”, which again structured the mailbox in a completely new way. How are these changes affecting email marketing and what should marketers take into account? Let’s take some time to look at both versions and how they can actually affect email marketing. In November 2014, Gmail launched a new app called “Inbox by Gmail” for Android, iOS, as well as several browsers: Chrome, Firefox, and Safari. This is neither replacing Gmail nor providing an additional email address; it’s just a different approach on how to use email. 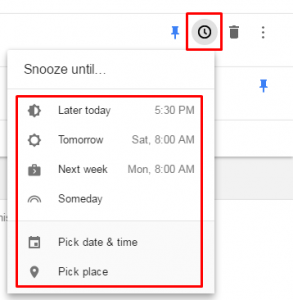 While Gmail is more like most web-based email providers, Inbox tries to establish the zero-Inbox approach – in which the Inbox is seen as a permanent to-do-list. 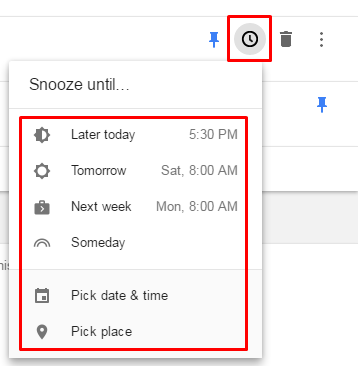 Emails and Reminders are handled in one common folder and the user can decide for each item, whether it should be treated now or later (for those cases, items can be snoozed until a specific event, mostly to a later time or specific place). So the default should be a “clean” inbox with items added to it only at the pre-set relevant time. What Does This Mean For Promotional Content? The classification basically works in the same way for both Inbox and Gmail. There have been tons of articles published on how to trick the filters as well as case studies on the effect of the structured inbox, but at the end of the day there is no reason to trick filters. Content is classified as what it is – if marketers trick the filter, it’s just a matter of time until Gmail will have adjusted it. More importantly, it would prevent Gmail’s effort to improve user experience, which is also in the interest of all senders. 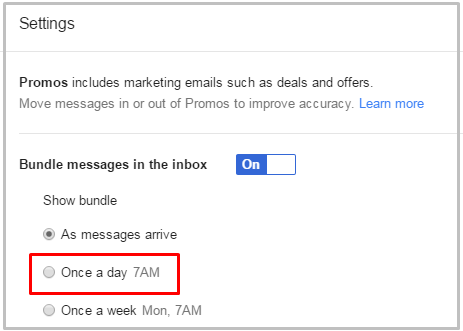 As long as it’s in the interest of people to consume promotional content, Gmail will make it as convenient as possible for users to do so. 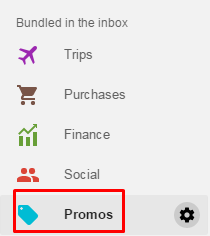 In Inbox, collecting Promotional content in a separated “Group” can be turned on and off. Default is “on” – which is good – because it makes promotional content much more visible than before. Users should be able to consume promotions whenever they are willing to do so – and not being bothered when their attention is elsewhere. Even better – each group can be adjusted to collect emails in the background and just appear once a day/week at a defined time. This is great as people can tell Gmail when they are willing to consume this content. It’s also easier for marketers – they don’t need to identify the perfect timing for sending email campaigns anymore with the risk of being overlooked. Users decide when it’s the right time for them to go through promotional content. 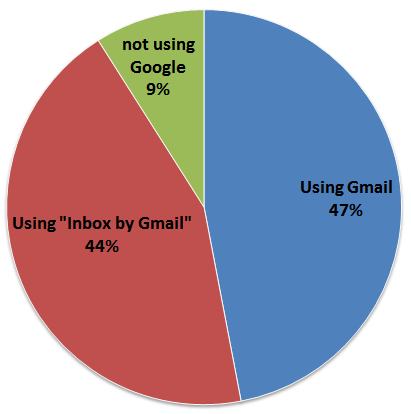 Out of 2328 participants, 44% say they use Inbox – versus 47% using Gmail. Unfortunately, the questionnaire didn’t ask who is using both (and which one is preferred on which device). But it’s still showing high and growing relevance for “Inbox by Gmail”. From the email marketing point of view, there’s no point in fighting the categorization. There is no option to avoid it in the long term. When you take into account the points mentioned in this post, you realize that there are actually more benefits to it than drawbacks. Forcing people to read emails and buy products hasn’t really worked in the past and will work even less in the future. Sending relevant, individual and targeted messages through secure connections is the way to go – even better when combined with multiple channels. Very well detailed, thank you for your consistency and sharing pro insight.